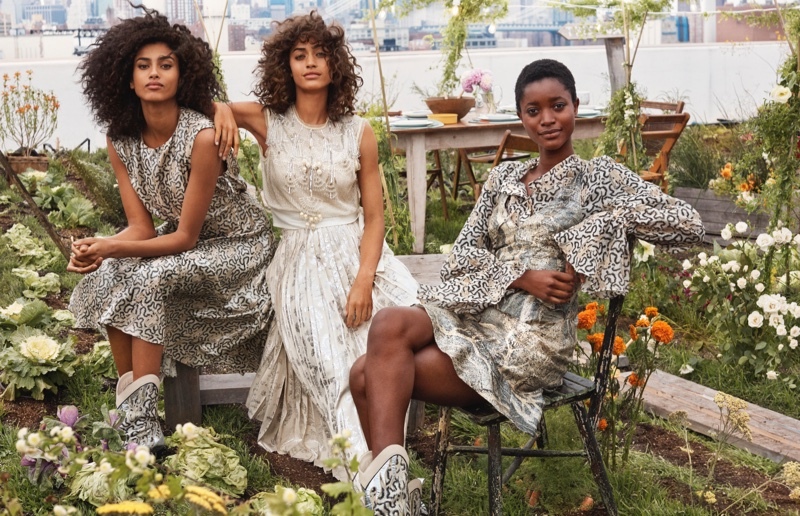 H&M’s premium eco-friendly collection Conscious Exclusive gets an upgrade for 2019. 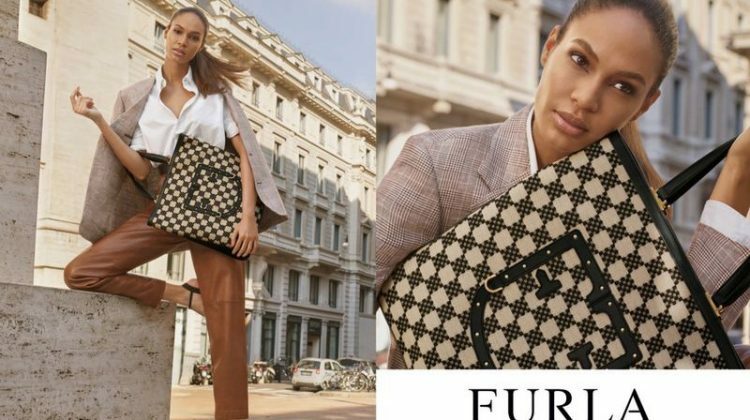 Set to be released on April 11th, the campaign imagery stars models Imaan Hammam, Oumie Jammeh and Alanna Arrington. The trio poses in a lush garden setting while wearing chic dresses, blouses and knitwear. The collection is made from organic cotton, recycled glass, recycled plastic and organic silk. 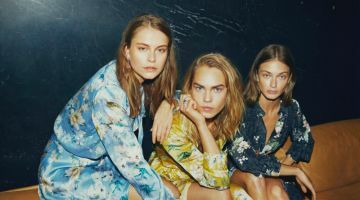 Discover more images from the H&M Conscious Exclusive line below!